Posted on November 8, 2014 by revivewa	in Opinion, Reviews. While 1 John is normally classed among the epistles or letters of the Christian scriptures, it lacks an epistolary beginning or salutation and the usual closing format. Searching for an alternative description some scholars have referred to 1 John as a tract or pastoral document. But however defined it is obvious that the author is writing to a Christian community and is writing out of pastoral concern, even if we cannot be certain who the intended recipients were or exactly what moral or theological difficulties they may have been experiencing. 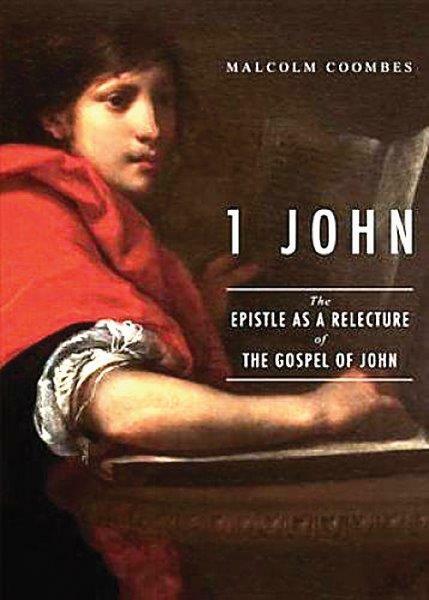 Coombes explores the idea of 1 John as a relecture (or rereading) of the Gospel of John. He identifies linguistic and thematic similarities and differences and discusses the possibility that, in 1 John, ideas from John’s Gospel are being reread, developed, interpreted, reoriented and reappropriated for a specific pastoral purpose and historical situation. Examining the literary structure of 1 John, Coombes comments on the rhetorical features used by the writer for amplification and emphasis including contrasts between good and evil, light and darkness, loving and hating. He also notes that while 1 John doesn’t quote directly from the Gospel of John, there are repeated allusions to gospel themes and links formed by key words. A number of tables are included that allow readers to follow this through for themselves. These are set out in a way that assists ease of comparison between 1 John and the Gospel of John. There is also a helpful index of gospel texts cited. Exactly half of this book comprises a passage by passage structural analysis of 1 John using the Greek text. The stated intention is to enhance the way 1 John is read in the light of the Gospel. While this may bring fresh meaning to 1 John and open up new insights, it seems likely that the approach developed from a doctoral thesis will be of more interest to those engaged in academic study than to the general reader.